Ready to conquer the world? Are you a recent college graduate? Do you plan on graduating soon? 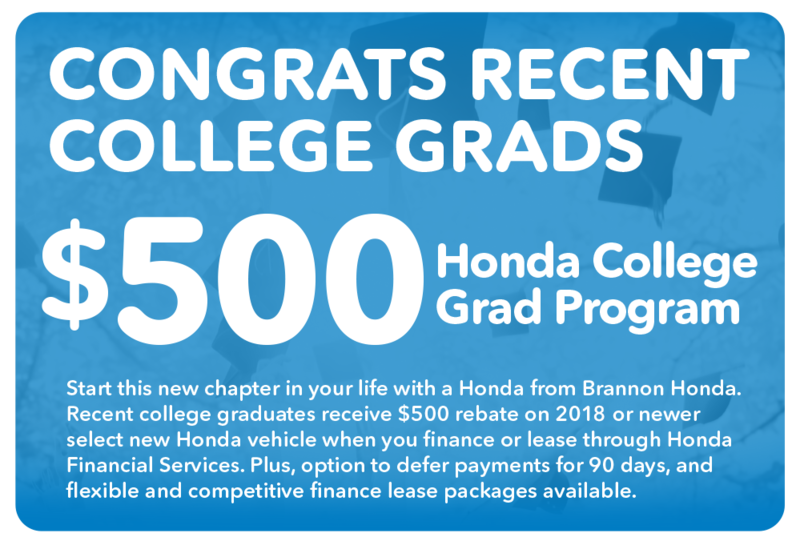 At Brannon Honda, we are proud to offer a discount for students who have graduated or are about to graduate college soon! Our dealership rewards students who strive to achieve more! We know that college is expensive, so students like to save when they can. If you’re looking for a little assistance, contact us today to learn more about our College Grad Program! In order to take advantage of these savings, we must receive proof of employment or a firm commitment from an employer with a start date no more than 120 days from the date of the contact. If you’ve graduated within the past two years or will graduate within the next 6 months, you are eligible for these savings! All you have to do is provide us with credit and document requirements. Unsure about your status or other information? Contact us today so we can help! At our Birmingham, AL dealership, we make sure those who go above and beyond are rewarded! Don’t miss out on this great deal! 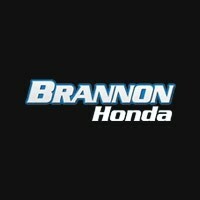 Brannon Honda is Rewarding You for Your Hard Work! Graduating is an extremely important milestone in life. We understand that students are about to experience newfound freedom, as well as various career opportunities. The $500 College Grad Program offer is here to help graduates get a jump start in life. Most college graduates don’t have lots of credit built up, so this is an amazing opportunity to take advantage of! If you’re searching for a dependable vehicle to take you to and from your new job, reach out to us today! Residents in Trussville, Fultondale, and Mountain Brook can all agree: Brannon Honda is here to meet your needs and offer excusive deals for customers! We are conveniently located at 300 Gadsden Hwy, Birmingham, AL 35235. Come see us today! *The Honda Graduate Program is limited to the 48 U.S. contiguous states, Alaska and Hawaii. For well-qualified customers who meet Honda Graduate Program criteria, subject to approval by Honda Financial Services (HFS). Bonus offer applies toward any new 2018 or newer model year Honda when financed or leased through HFS. Only offered at participating dealerships. Only one $500 Honda College Graduate Bonus offer per vehicle. LEASE: $500 applied towards the cap cost of vehicle. Monthly payment and total due at lease signing are calculated after $500 reduction. Cannot be combined with Zero Due at Signing Lease program. PURCHASE: $500 applied towards down payment. Offer not valid on Honda Certified Pre-Owned Vehicles or used Honda vehicles. Offer valid through March 31, 2020, and may be terminated at any time. Verifiable proof of employment or firm commitment from an employer with start date no more than 120 days from date of finance contract. Must have graduated in past two years or will graduate in next six months. No adverse credit history. Master’s, Bachelor’s or Associate degree from U.S.-accredited college or registered nursing school. Provide Honda dealer with credit and document requirements. Option to defer first payment 90 days (60 days interest-free) is only available with traditional financing (not leasing).